As we enter the new year, everyone is beginning to plan where they will be going in 2017, well that’s the YGT office chat. 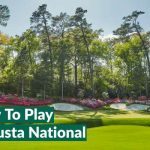 Will it be a trip to Augusta, some golf in the sun in the Algarve or even a stay & play break at The Belfry?In this blog we have been speaking to the people that make your golf holidays come true, the fantastic staff here at Your Golf Travel. 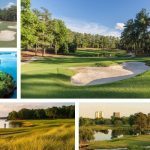 Keep reading to hear their top recommendations for 2017, but also to see a look back at the favourite courses played by YGT staff in 2016. Nick from YGT Marketing says…. 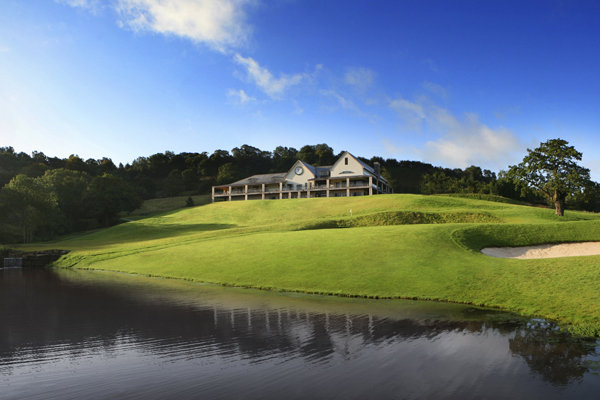 In April 2016, I was lucky enough to join the sales team on a trip to Celtic Manor, home of the 2010 Ryder Cup. We even got to play The Twenty Ten Course, so just knowing that Tiger and so many other top golfers had walked these fairways was already incredible. I was paired with a member from the Celtic Manor operations team and we were up against sales specialists Tom & Sam. An extremely close match that went right down to the wire, I even sunk a putt on the 16th to keep the match alive! As we got to the last hole, I was a bit greedy and put the ball in the drink, but Sam made a solid par to win the match. A fantastic experience and I will definitely return in the near future. I plan on trying something completely new in 2017, somewhere I have never been before, Abu Dhabi! Winter Sun and Championship Golf Courses, what more can you want? 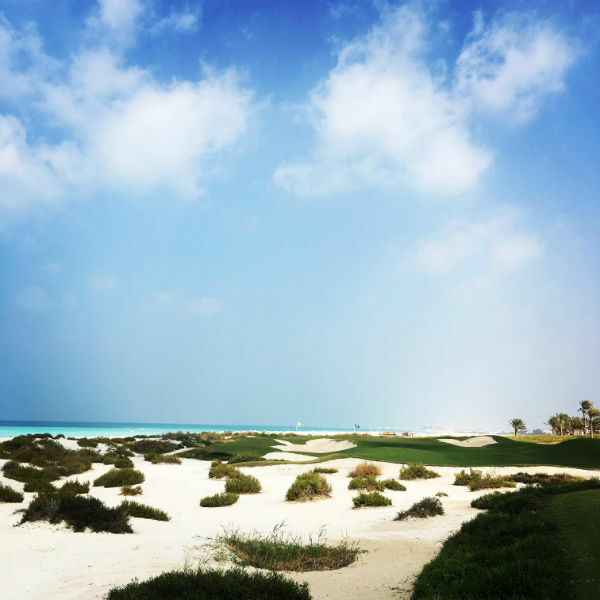 When I look at the stunning golf courses everyday on our website, I am completely in awe and know that the likes of Yas Links and Saadiyat Beach Club are a MUST. 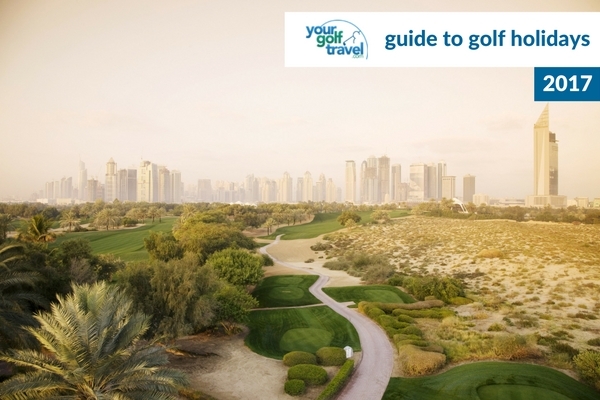 There is also an array of fantastic luxury hotels and plenty of activities to do away from the course so you will never be bored on your Abu Dhabi golf holiday! 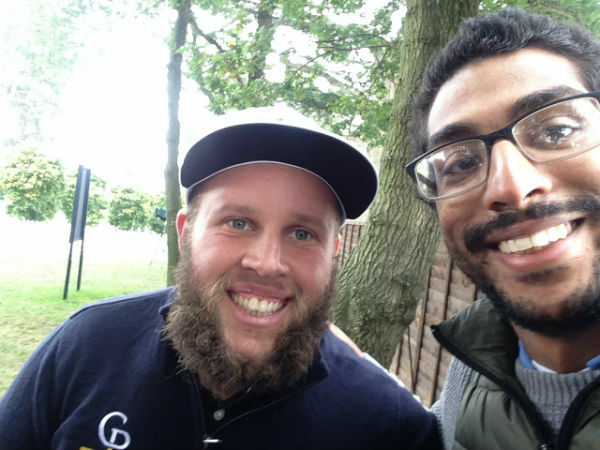 It has to be meeting “BEEF” at the British Masters…. Getting some golf in the sun in January is pretty hard to beat and a few rounds I got in Abu Dhabi were really enjoyable. Night golf at Abu Dhabi Golf Club was a great experience and probably the most memorable, but playing in the Abu Dhabi Golf Championship pro-am with Mike Weir was the highlight. It was great to play a course in top tournament condition ahead of one of the best tournaments of the year. I’m already booked up to play Le Golf National. Having seen the USA claim the Ryder Cup at Hazeltine I was immediately looking to 2018 and the thought of playing this before the pros head there was something I couldn’t not experience. I’ve played 8 Ryder Cup venues so far so am looking forward to seeing how Le Golf National stacks up as my 9th, most who have played it suggest it is one of the toughest on tour so would am expecting a stern challenge and lots of lost golf balls. Callum from YGT Events says…. After a fantastic week at The Race to Dubai, the opportunity arose to play Saadiyat Beach in Abu Dhabi and what a venue it is. Highlights were the holes down on the beach which boasted fantastic views over the ocean and perfectly conditioned sand. Safe to say it was an experience I will never forget and I would like to thank Saadiyat for their fantastic hospitality, nothing was too much to ask for which is a common theme across the UAE. Would recommend anyone to head out there and give it a go, also Abu Dhabi National is a stunner too, especially right now in the run up to the HSBC Championship. I was lucky enough to experience some of Scotland’s finest courses last year including St. Andrews, Turnberry, Prestwick & The Old Course at St. Andrews but none compare to Kingsbarns in my opinion. The condition was immaculate and the shape of the course was phenomenal. A return trip will be booked, you have my word! 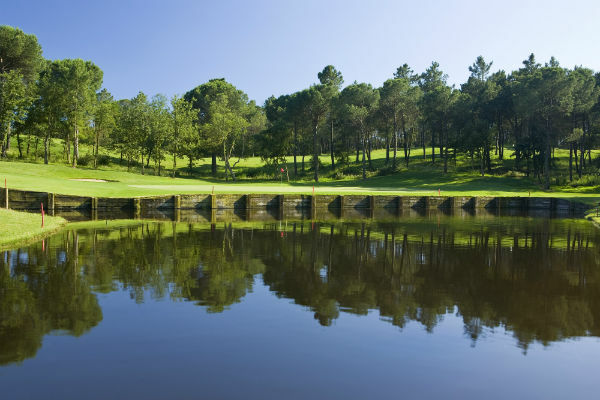 I have heard nothing but good things of the 2 courses and the Resort at PGA Catalunya. All of the sales team spent 3 days at PGA Catalunya in November and I know they had a fantastic time. I will certainly be booking a break there in 2017. 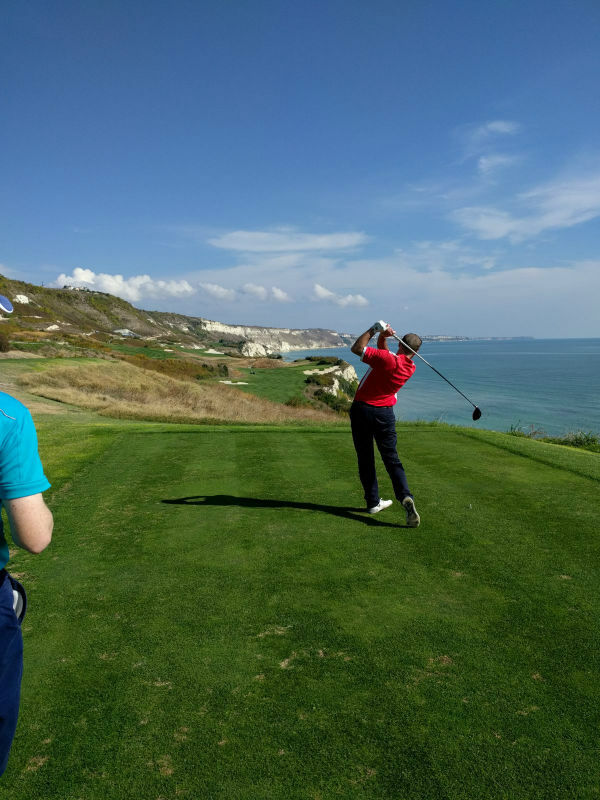 In April 2016, I was fortunate enough to go on holiday to Cyprus and play the Aphrodite Hills Golf Course. We stayed in a villa which you could walk out the back of, straight onto the putting green and 1st tee, it couldn’t have been easier. The weather conditions were ideal with plenty of sun and a strong breeze to stop it getting too hot. 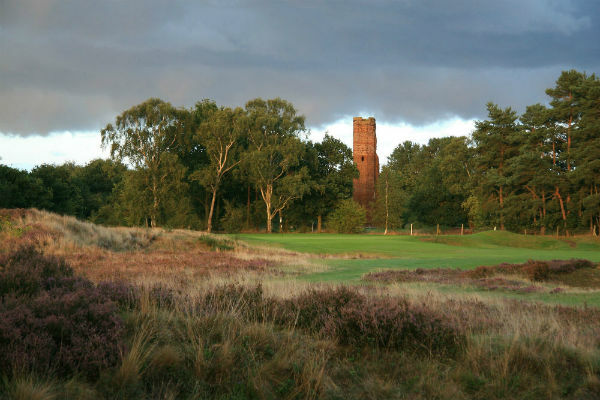 The course itself provides many memorable holes, including the unforgettable 7th which played as a long par 3 over a ravine with bunkers to the right and long of the green. Key tip for this hole would to be careful of the wind and if unsure…club-up! The following hole, is also memorable with an incredible ocean backdrop and also a hole I would advise playing with extreme caution! There is what seems like a 90 degree sloping fairway which pushes all balls towards the ravine on the left. No surprise that everyday I lost a ball in here, with on the final day deciding to give up on iron off the tee and instead drive it over the slope but unfortunately it was the same result. The final hole on the course, was another stand-out for me as looking at it I thought it was an easy birdie chance but I managed to take bogey everyday. Depending on the wind, you could be in for a long drive uphill which if you can carry you will be in with a chance of driving the green in 2. Or for the shorter hitters, this is where the real danger lies, the 2nd shot. The choices are lay-up for wedge distance but you have the narrowest of targets with a lake right and slope left, OR lay-up for roughly a 7-iron approach. The green is then fairly wide and ideal 3-putt territory. Overall, this was one of my favourite golf courses I’ve played and would definitely play it again. It offers the perfect risk-reward with some days shooting 5-over and others 15. I think Belek, Turkey would be the ideal golf break for myself. From researching venues that we sell, I’m amazed by the number of courses to choose from in the area. 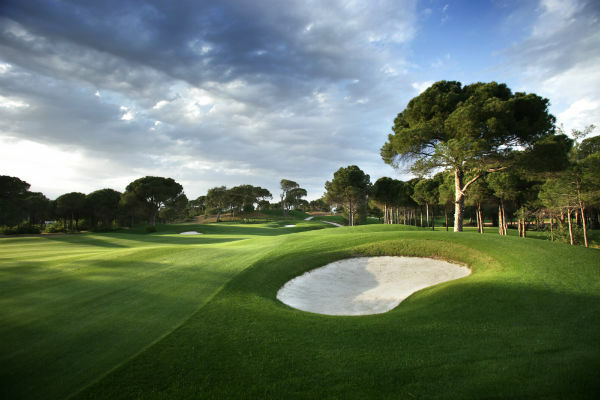 I could play the Turkish Airline’s host course (The Montgomerie Maxx Royal), the Cornelia Faldo Course, or experience night-golf for the first time at Regnum Carya Golf Club all within 30 minutes of each other. 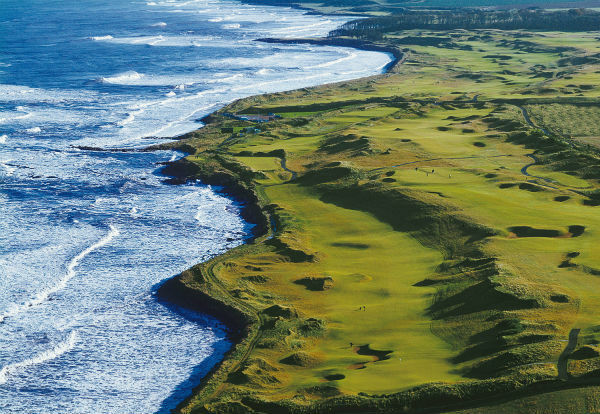 I would normally go for Royal Portrush (as one of the world’s best courses who wouldn’t?!) but having been lucky enough to play it before in 2015, so I’ll plump for something else. 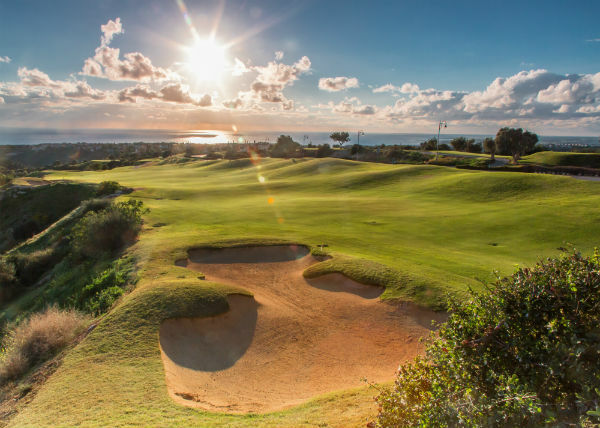 Costa Navarino in Greece really surprised me with the quality of golf on offer, both in the form of the breath-takingly beautiful Bay Course which offers perfect, relaxing holiday golf, as well as the more testing Dunes Course which will really challenge the better player. But it’s tough to choose between that and the La Mer Course at Le Touquet which again really surprised me in terms of quality. I was aware it is a top class course but it’s honestly one of the best I’ve played to date. Thanks to the nature of my role at YGT I am lucky to have played countless courses in lots of countries (last count was 16 countries I think) so that’s high praise indeed. Seignosse in South France was also pretty special. A little further afield, Yas Links in Abu Dhabi was so much fun to play despite shooting 93, as was 9 holes of night golf at Westin Abu Dhabi…but ultimately I’m going to go for something closer to home. St Enodoc where I filmed a Christmas Special vlog with Mark Crossfield, Coach Lockey and James Pickard was amazing and while Trump International Scotland was mindbogglingly spectacular, it was just a little too tough for my liking. 3) Stay out of the bunkers!!! Honestly the bunkers here are pretty mental and form a huge part of the challenge but, along with the clover routing of the holes and the great swathes of heather, the Hotchkin is not only a beautiful course, but it serves up a supreme test of golf and really makes you think your way around all 18 holes. It’s pretty easy to see why it’s regarded as one of the best courses in the world by most leading golf publications like Golf World and Today’s Golfer. I’ve heard the Bracken Course is excellent too so if you’re after 1 Night + 2 Rounds in the UK, this place is an absolute must. I suppose I’ll stick with my rational from my previous answer and pick somewhere I’ve never played before. That rules out Turnberry which I am desperate to play again since the redesign (Mark Crossfield and Coach Lockey were blown away by how good the changes were), as well as plenty of other courses which I would love to have another crack at such as Pinnacle Point in South Africa, my favourite course in the world to date. 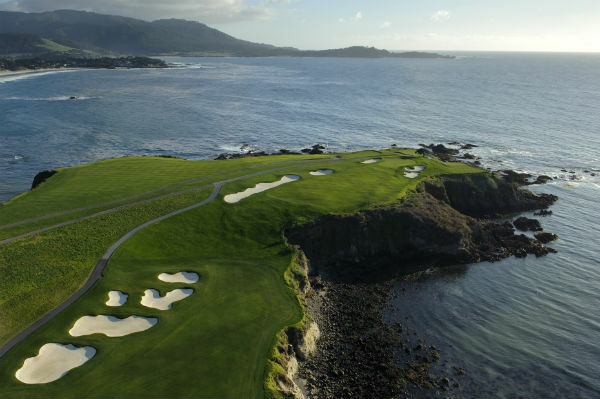 I guess I’ll just shoot for the stars and, with YGT’s new partnership with British Airways in place and plenty of new, more affordable flight routes and free golf club carriage to the USA now available, I’m going to make it my mission in 2017 to get a round in at Pebble Beach! One can only hope right?! The 18th tee at Trump International Scotland sits on a massive dune and give you a view over the course and out towards the sea too. This pic I took facing down another hole, with Mark being suitable silly of course, gives you an idea of the sheer scale of this course…you can just about make out a fairway which isn’t easiest of targets to hit when you’re teeing off some 100 feet above the level of the fairway! There you have it! 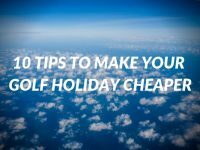 Our top recommendations for 2017 Golf Holidays. 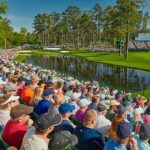 If any of these catch your eye, be sure to get in touch with us at Your Golf Travel and we can get the ball rolling to make your 2017 golf holiday a memorable one.